In a case in 2006, Justice Breyer of the Supreme Court of the United States emphasized the need to clarify the boundaries of patentable subject matter. He observed: ‘To fail to do so threatens to leave the medical profession subject to the restrictions imposed by this individual patent and others of its kind.’ Justice Breyer stressed: ‘Those restrictions may inhibit doctors from using their best medical judgment; they may force doctors to spend unnecessary time and energy to enter into license agreements; they may divert resources from the medical task of health care to the legal task of searching patent files for similar simple correlations; they may raise the cost of healthcare while inhibiting its effective delivery.’ Justice Breyer noted that guidance on the limits of patentable subject ‘would permit those in the medical profession better to understand the nature of their legal obligations’ and ‘would help Congress determine whether legislation is needed.’ Subsequently, in a trilogy of cases – Bilski v Kappos; Mayo v Prometheus; and AMP v Myriad Genetics – the judges of the Supreme Court of the United States have expressed reservations about an overly broad approach to patentable subject matter. TPP parties Brunei Darussalam, Chile, Japan, Malaysia, Mexico, Peru, Singapore and Vietnam all expressly exclude surgical procedures from patentability. 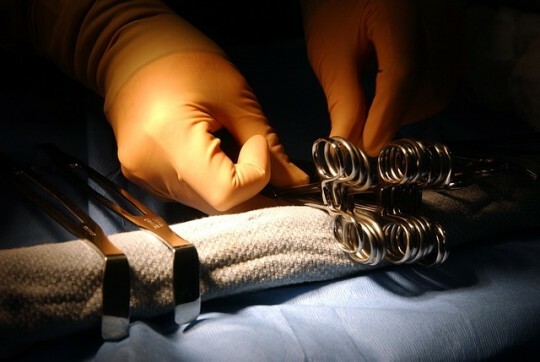 Canada and New Zealand have case law that rejects surgical procedures from patentability. It is therefore no surprise that the parties seeking an express permission to exclude surgical patents from patentability under the TPP are New Zealand, Canada, Singapore, Chile and Malaysia. In response to the controversy, the 104th United States Congress passed A Bill to Limit the Issuance of Patents on Medical Procedures in 1995. Section 287 (c)(3)(1) provides: ‘With respect to a medical practitioner’s performance of a medical activity that constitutes an infringement… shall not apply against the medical practitioner or against a related health care entity with respect to such medical activity.’ The Physician’s Immunity State has been criticised for being a flawed, compromised, and limited response to the problem of patents on medical procedures. In his book, Owning the Future, Seth Shulman observed that ‘the law does little to address similar problems arising in biomedical research, a far more lucrative branch of the medical field than Jack Singer inhabits, and one in which the most important players are more likely to be large corporations than individual practitioners’. Matthew is a contributor to the forthcoming publication ‘Trade Liberalisation And International Co-Operation: A Legal Analysis of the Trans-Pacific Partnership Agreement‘ edited by Tania Voon (due out December 2013).